The 2019/2020 WAEC TIMETABLE for MAY/JUNE has been released for this year’s examination. 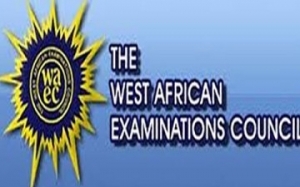 To all candidates who are expecting the Waec Timetable for 2019/2020, the West Africa Examination Council (WAEC) authorities have officially released the Waec Timetable for 2019. Take note that this timetable is compiled by Dailyschoolnews.com.ng. Please take note that this the official WAEC time table for 2019 academic session. Catering Craft Practice 2 (Essay) – 9:30 a.m. – 10:20a.m. Catering Craft Practice 1 (Objective) – 10:20 a.m. – 11:00 a.m.
Marketing 2 (Essay) – 9:30 a.m. – 11:30 a.m.
Marketing 1 (Objective) – 11:30 a.m. – 12:20 p.m.
Salesmanship 2 (Essay) – 9:30 a.m. – 11:30 a.m.
Salesmanship 1 (Objective) – 11:30 a.m. – 12:20 p.m.
Machine Woodworking 2 (Essay) – 9:30 a.m. – 10:30 a.m.
Machine Woodworking 1 (Objective) – 10:30 a.m. – 11:30 a.m.
Tourism 2 (Essay) – 9:30 a.m. – 11:20 a.m.
Mining 2 (Essay) – 9:30 a.m. – 11:35 a.m.
Mining 1 (Objective) – 11:35 a.m. – 12:15 p.m. Bookkeeping 2 (Essay) – 9:30 a.m. – 11:30 a.m. Bookkeeping 1 (Objective) – 11:30 a.m. – 12:20 p.m.
Store Keeping 2 (Essay) – 9:30 a.m. – 11:30 a.m.
Store Keeping 1 (Objective) – 11:30 a.m. – 12:20 p.m.
Office Practice 2 (Essay) – 2:00 p.m. – 4:10 p.m.
Office Practice 1 (Objective) – 4:10 p.m. – 5:10 p.m. Catering Craft Practice 3 (Alternative to Practical Work) – 9:30 a.m. – 10:10 a.m.
Insurance 2 (Essay) – 9:30 a.m. – 11:30 a.m.
Insurance 1 (Objective) – 11:30 a.m. – 12:20 p.m. Animal Husbandry (Alternative B) 2 (Essay) – 9:30 a.m. – 11:30 a.m. Animal Husbandry (Alternative B) 1 (Objective) – 11:30 a.m. – 12:10 p.m.
Store Management 2 (Essay) – 9:30 a.m. – 11:30 a.m.
Store Management 1 (Objective) – 11:30 a.m. – 12:30 p.m. Clerical Office Duties 1 (Objective) – 11:40a.m. – 12:30 p.m. Fisheries (Alternative B) 2 (Essay) – 2:00 p.m. – 4:00 p.m. Fisheries (Alternative B) 1 (Objective) – 4:00 p.m. – 4:40 p.m.
Data Processing 2 (Essay) – 9:30 a.m. – 11:30 a.m.
Data Processing 1 (Objective) – 11:30 a.m. – 12:30 p.m.
Hausa 2 (Essay) – 9:30 a.m. – 11:30 a.m.
Hausa 1 (Objective) – 11:30 a.m. – 12:30 p.m.
Igbo 2 (Essay) – 9:30 a.m. – 11:30 a.m.
Igbo 1 (Objective) – 11:30 a.m. – 12:30 p.m.
Yoruba 2 (Essay) – 9:30 a.m. – 11:30 a.m.
Yoruba 1 (Objective) – 11:30 a.m. – 12:30 p.m.
Computer Studies 2 (Essay) – 3:00 p.m. – 4:00 p.m.
Computer Studies 1 (Objective) – 4:00 p.m. – 5:00 p.m.
English Language 3 (Oral)/* – 3:00 p.m. – 3:45 p.m. Mathematics 1 (Objective) – 3:00 p.m. – 4.30 p.m. Basic Electricity 2 (Essay) – 3:00 p.m. – 4:00 p.m. Basic Electricity 1 (Objective) – 4:00 p.m. – 5:00 p.m.
Islamic Studies 1 (Objective) – 11:30 p.m. – 12:20 p.m.
Civic Education 2 (Essay) – 9:30 a.m. – 11:30 a.m.
Civic Education 1 (Objective) – 11:30 a.m. – 12:30 p.m.
Technical Drawing 3 (Sketches, Building, and Mechanical Drawing) – 9:30 a.m. – 12:15 p.m.
Technical Drawing 2 (Essay) – 2:00p.m. – 3:45p.m. I made it easier for you to download the Waec Timetable PDF file format for all those who are eager to print it out. You can choose to Download it by clicking Here. Please do share this information with your friends on Social Media, using the share buttons below. Waec Timetable For 2019 – When Will 2019 Waec Exam Starts? Yes Fred, and we’re updating it. That was the thought of several candidates, but it’s changed! Goodluck. Check it again! We’ve successfully updated the Waec Timetable! we are praying for succesfull conclution. any time. No, read and study Smart. What of NECO time table’s? We have updated the Real Waec Timetable! Please print this out Out! Thank You. why ist that Technical Drawing is not included in the Time table? The table has been updated! We’ve updated it. Here’s the real timetable! I have updated it. You can check it now. Thanks for updating Us, we have fully updated this Waectimetable for 2016! No computer studies in the waec timetable. It’s the timetable a real one? Yes, Dailyschoolnews.com.ng is a portal well known for it’s important information and high respect from both it’s online and offline readers. This waec timetable is real and the original One. Hello, Animal Husbandry is a subject which is listed in the Timetable. This isn’t Junior WAEC Timetable, this is for SSCE Timetable. We published the JSS junior timetable below it. We’ve updated it James, please check again. This is the real timetable.